Get your copy of Tooth and Claw, Harry’s second adventure, on audio today. Available wherever you buy audio books including Amazon and directly from Tantor Media. Harry’s back in her next audio instalment. Tooth and Claw is available on October 11 wherever you buy audio books, including Amazon and directly from Tantor Media. So have you checked out Dead and Kicking on audio yet? I’d love to hear what you think. Leave a comment below. A Moment to go Squeee! Sorry to interrupt this quiet Sunday, but both of my books are currently in the TOP FIVE on AMAZON!!! Tooth and Claw Goes Live! Have I mentioned I have a Pinterest account? I’ve created boards for the first two books in the Harry Russo Diaries as well as for my upcoming romantic suspense, Home Again. There are sneak peeks, some of Harry’s wardrobe choices and other props. Want to know what kind of Harley Nash drives? What does the infamous McQueen dress look like? There’s even a board for Harry’s store, Contain Yourself. And let’s not forget some of Harry’s favourite recipes, or at least one’s she hopes to convince Isaac to try! Stop on by and follow me. I’ll be adding new boards as the series progresses. 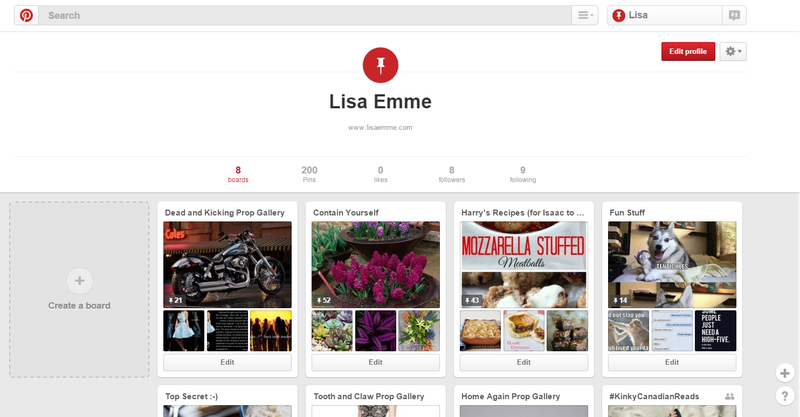 Visit me on Pinterest! I have a little treat for those who just can’t wait to get their hands on a print copy of Tooth and Claw. It’s now available to purchase on Amazon. Get it before the release date! You might even be able to order and have it in time for Christmas. It’s less than a month until the release of Tooth and Claw, book two in the Harry Russo Diaries. For fun, I’ve put together a book trailer. 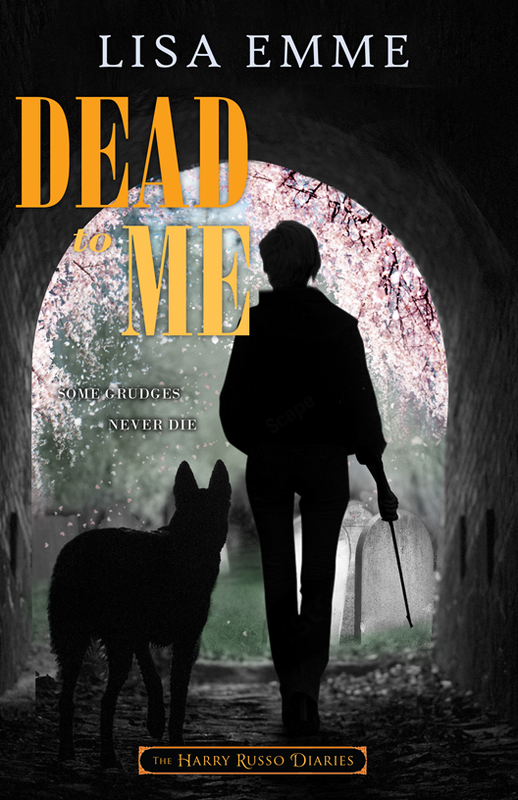 If you haven’t read Dead and Kicking yet (What? Why haven’t you?) there is a mild spoiler in the trailer, so be warned.